[SatBroadcasting(tm)] GlobeCast Australia is about to launch coverage on a key anniversary year of one of the UK’s biggest reality television hits, with HD transmissions for the first time. The GlobeCast Australia team will deploy on Monday, November 1, 2010, to work on the 10th season of Granada’s I’m a Celebrity, Get Me Out of Here for Britain’s ITV, live across the globe in HD. Engineers and equipment will be on location, working around the clock, throughout November and December. 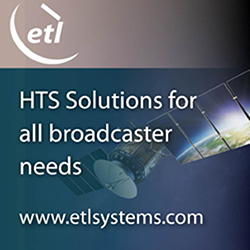 Satellite uplink and downlink infrastructure is installed in the rainforests of northern New South Wales, for send and receive transmissions, via connectivity to GlobeCast Australia’s international network of fibre and satellites. Live transmissions will go to Optus D2 and Intelsat IS-5, on leases operated by GlobeCast Australia; and on its global fibre network which runs from Auckland through Sydney to Los Angeles and London. GlobeCast Australia was also on location in Costa Rica in 2009, as Granada produced a season of the live show for America’s NBC, with GlobeCast Australia transmitting to IS-9 and IS-805. The team has also previously worked on the German version, Ich Bin Ein Star, and will reprise a series for Germany in early 2011. Such key entertainment live events supplement regular live sports and news deliveries by GlobeCast Australia for leading international broadcasters; along with its provision of more than 130 full time and DTH channels across Australia and New Zealand. Broadcasters and event organisers at home and abroad trust GlobeCast Australia’s DSNG fleet and global network when delivery must be assured, according to GlobeCast Australia DSNG Director Greg Littrich.